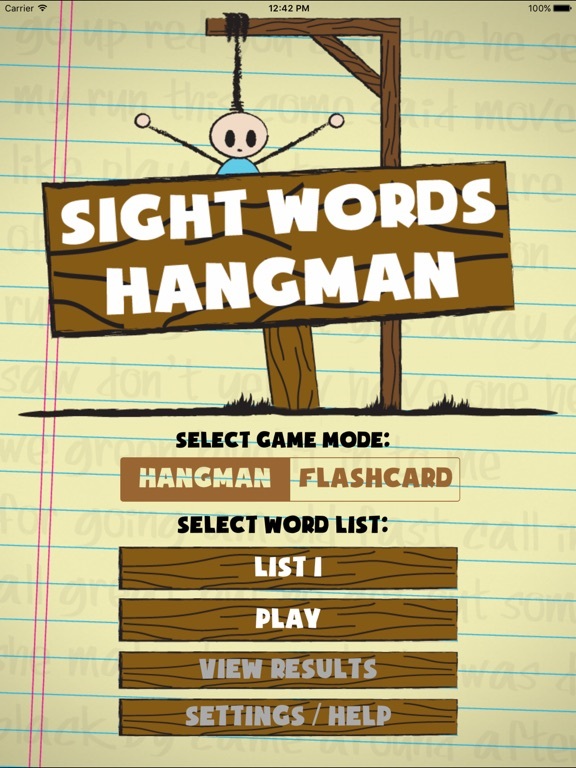 The latest way to reinforce Dolch sight words isn’t just another spelling game, it’s Sight Words Hangman, a fun language learning app from Marcel Widarto. 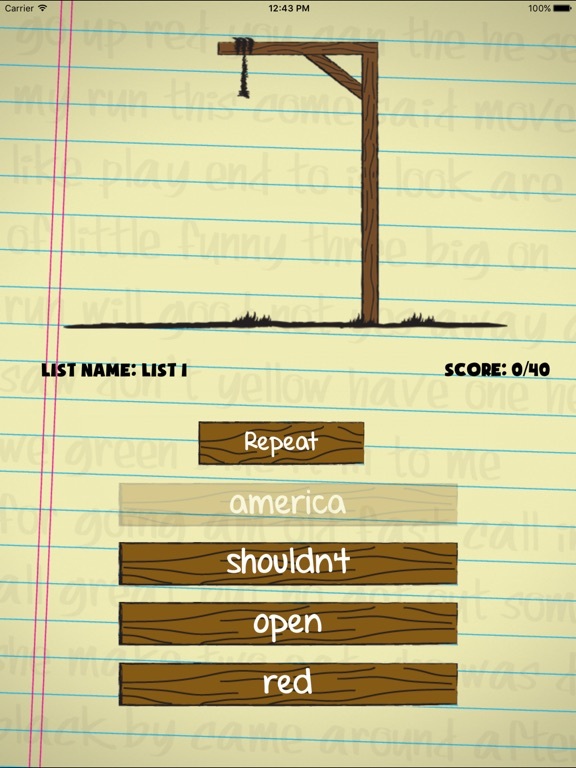 This twist on classic hangman gives children a chance to commit 250 of the most common words in the English language to memory. These common words, otherwise known as sight words because children must learn to recognize them by sight, are integral to developing successful literacy skills. 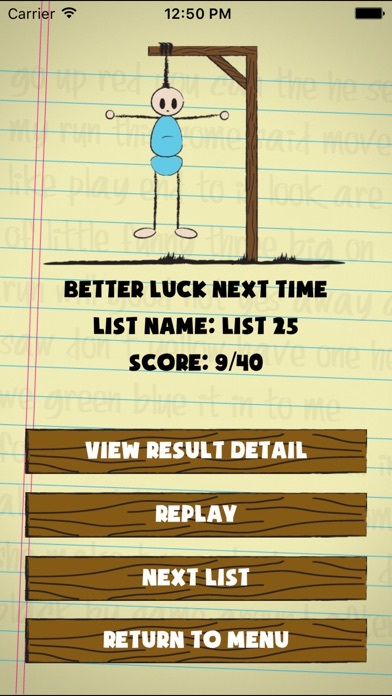 Fun graphics and a peppy soundtrack help keep the learning process interesting. 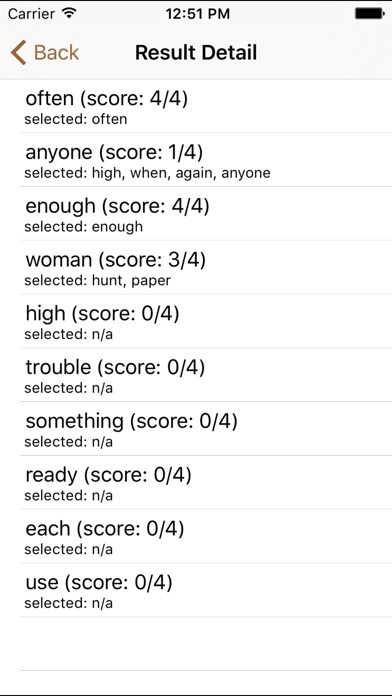 The game begins when one of 27 word lists is selected. 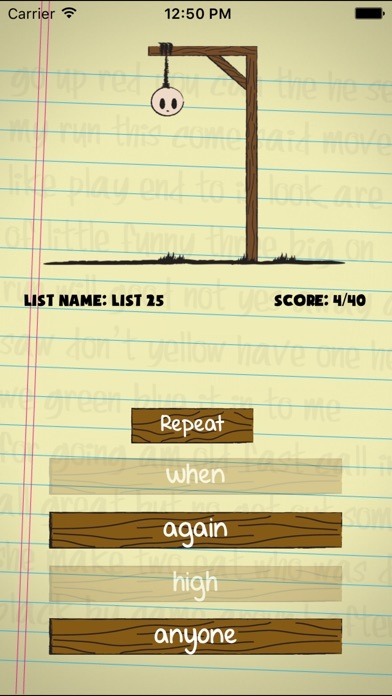 The words on the list are randomized in a game of hangman with ten rounds. 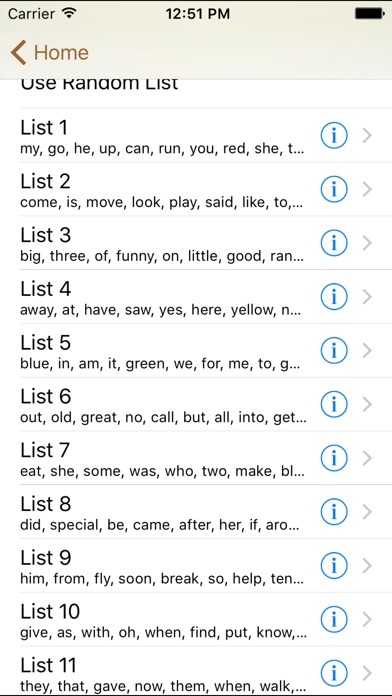 The app announces the word and asks your child to identify the correct word from a list of four. If they tap the wrong word they’ll hear the correct word aloud again, and the poor hanging fellow begins to appear. Children are allowed to make five mistakes, if they make a sixth mistake the round is over. 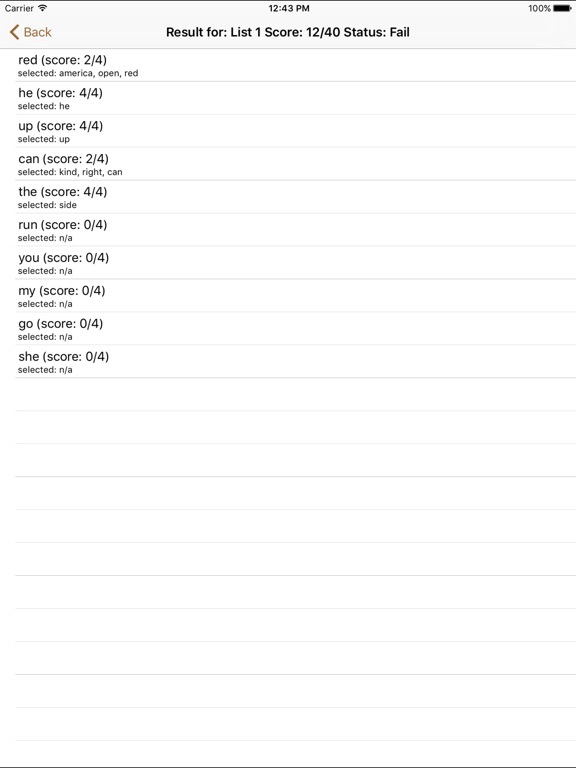 Word lists are sequential, getting a bit more advanced as you play, so it might be best to start at the beginning with words like “go” and “you” before progressing on to “trouble” and “laughter.” I really loved the fact that the app has a few seasonal themed word lists. Currently there is one for Halloween and another for Thanksgiving. 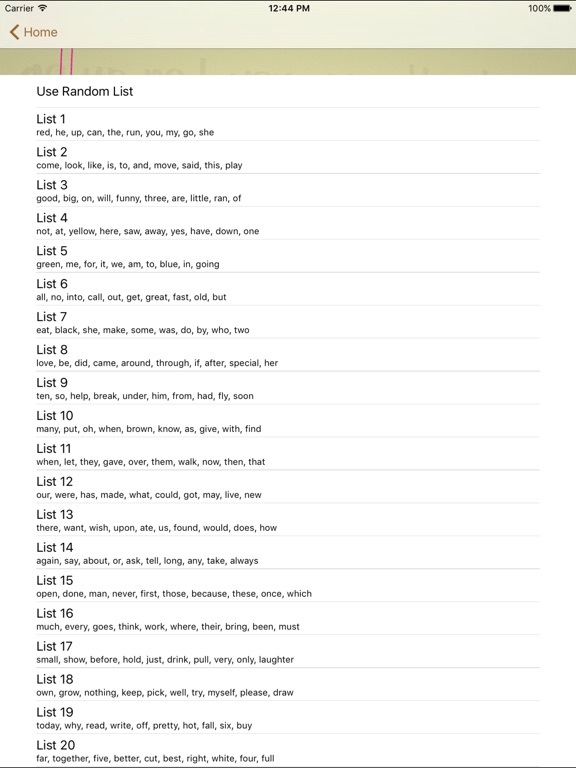 These lists were big hits with my clan since the celebrations were fresh in the kids’ minds. One thing about this app was a bit annoying. It constantly asks you to turn up the volume to at least 75 percent. I don’t know about you, but that’s way too loud for my household, especially if the littler ones are asleep. Besides, the game’s narrator is extremely well spoken and easy to understand, and there’s a handy repeat button in case your kid needs to hear the word again. But, like clockwork, every single time you navigate back to the home screen a volume advisory shows up. Frankly it’s annoying and completely unnecessary. I’d also love to see a detailed report option or other parent-friendly features. 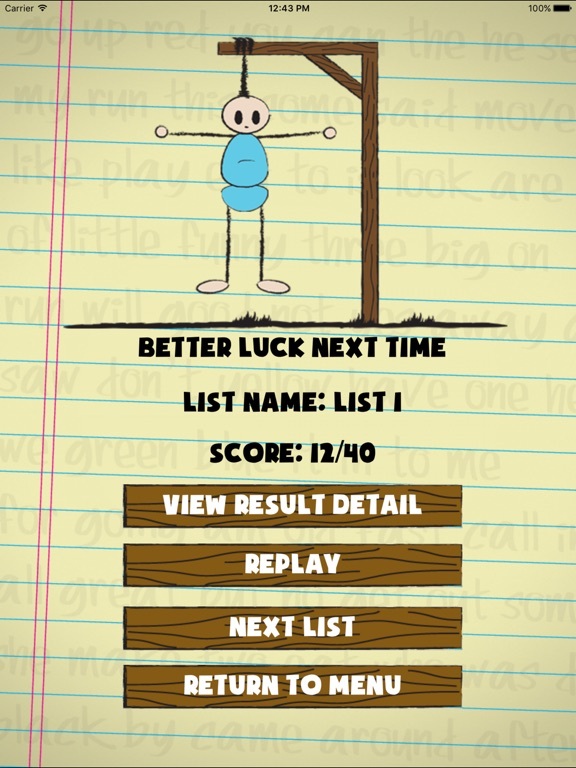 There is a score card at the end of each round, but it’s not particularly detailed. 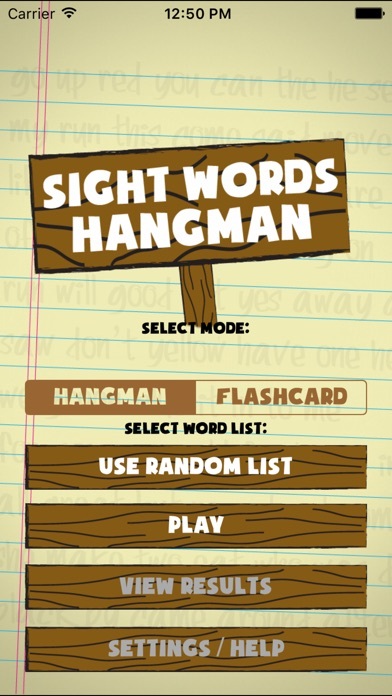 Sight Words Hangman is effective for language reinforcement, has an attractive price tag and is truly universal. If they got rid of that frustrating volume alert I’d like it even more.